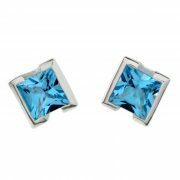 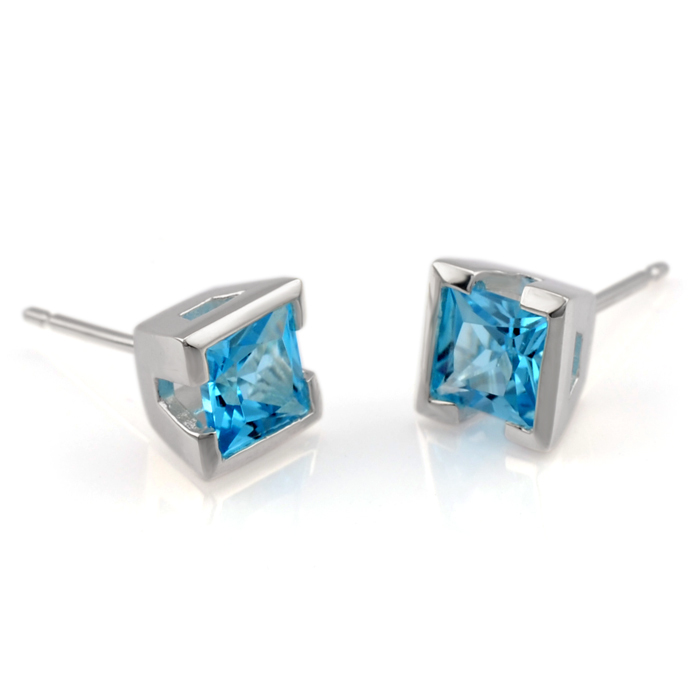 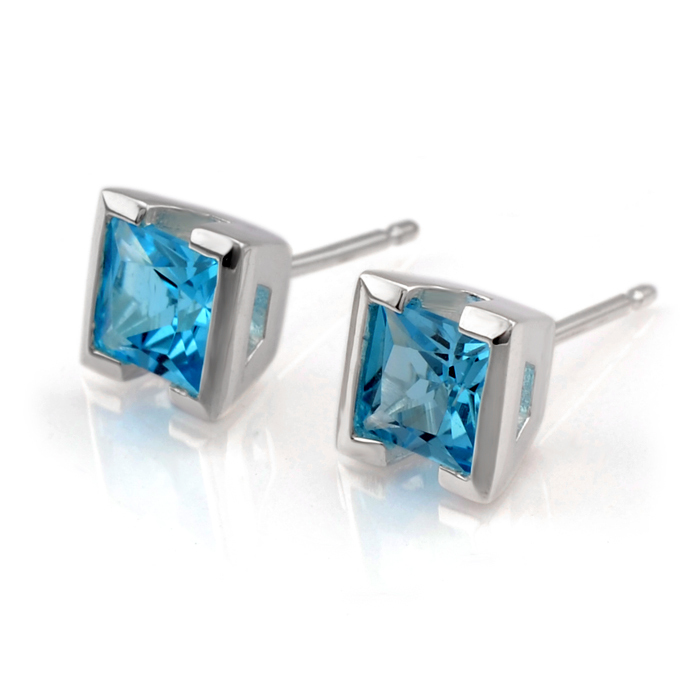 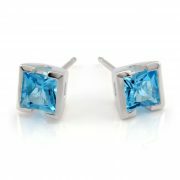 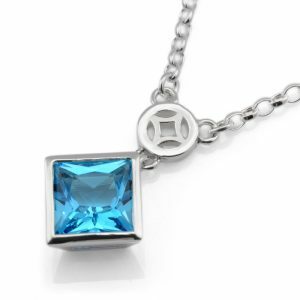 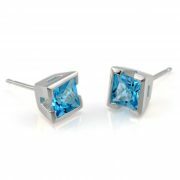 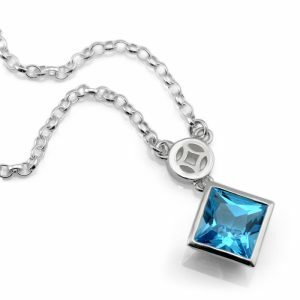 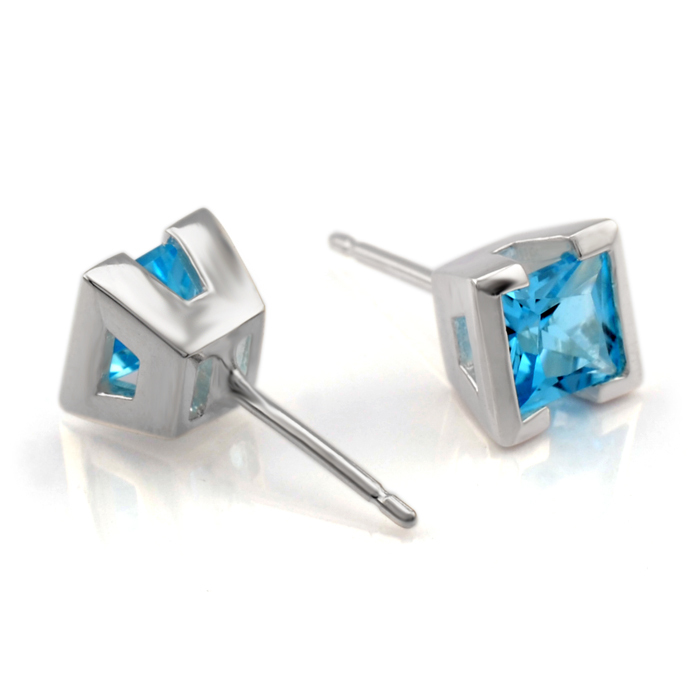 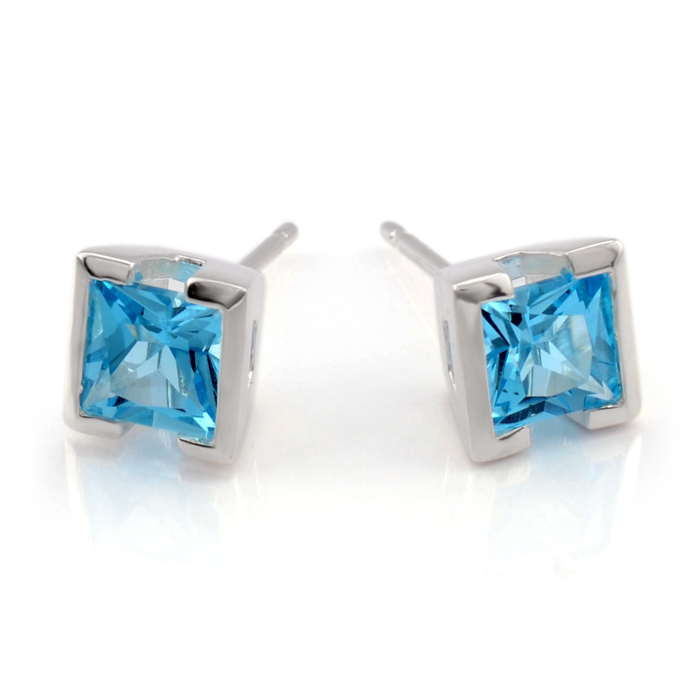 Unity stud earrings featuring a pair of beautiful 5mm/0.80ct princess cut, square shaped, Swiss Blue Topaz. 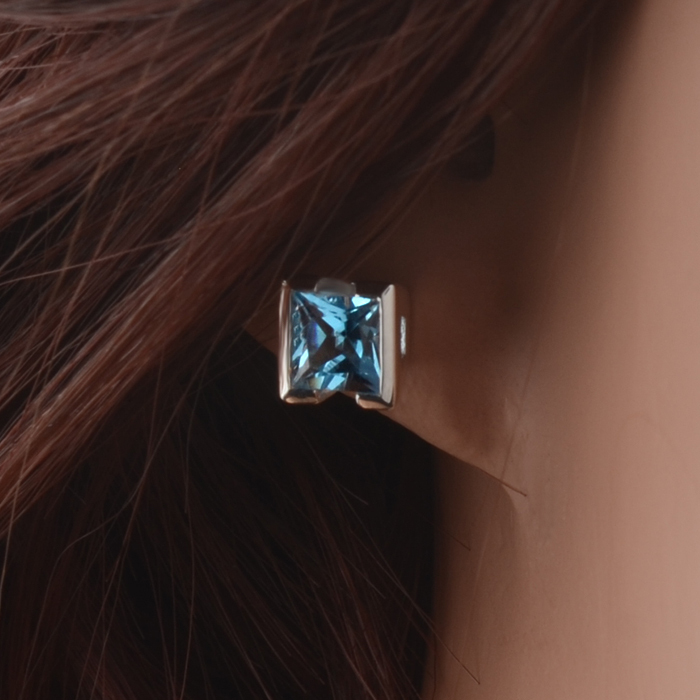 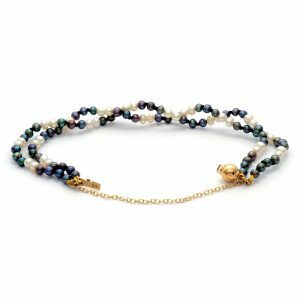 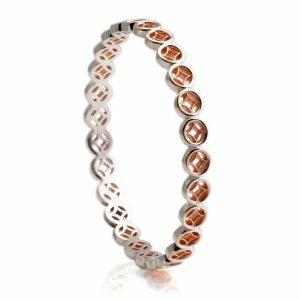 The gemstone is captured within a demi-flush setting, featuring window cutouts on all four sides of the setting adding extra dimension and aesthetic. 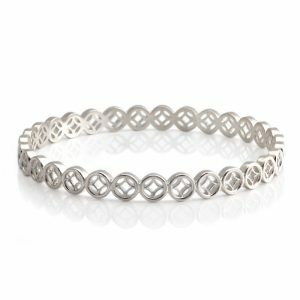 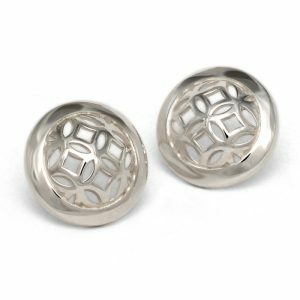 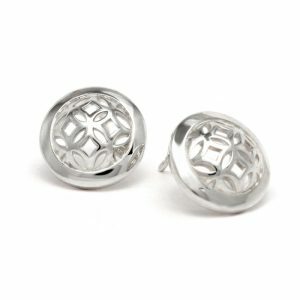 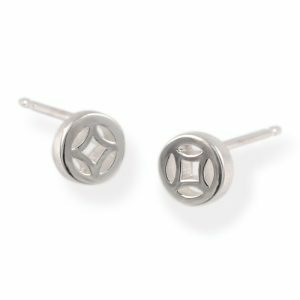 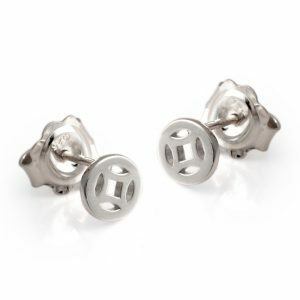 Pictured in polished sterling silver with butterfly scroll backs.